Saadat Hasan Manto is a magical word for the Urdu language readers. He was an Indo-Pakistan short story writer who got fame as the greatest screenwriter, playwright, and novelist. He lived a very short age from 11 May 1922 to 18 January 1955. His short stories not only gave him provocative success but also, brought his life into troubles. He was the man of societal issues who created awareness through his bare writings. So in this article, we will discuss his life, his achievements, major works, and complete biography in detail. 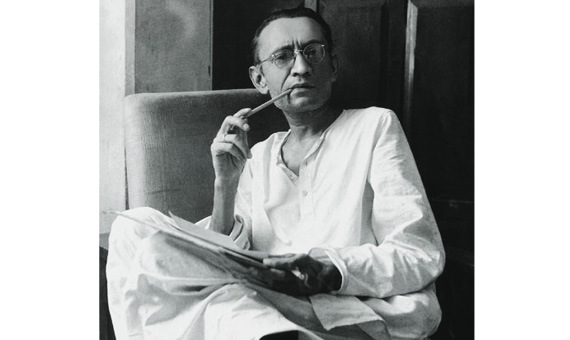 On 11 May 1912, Saadat Hasan Manto was born in a British Indian Punjab Muslim family of Samrala village. His father was a barrister and serving as a judge of a local court. Both of them had ethnically Kashmiri lineage which made them proud of being Kashmiri. There is not enough detail about his father’s life and family background but, he belonged to a Sunni Muslim Kashmiri family. In 1933, at the young age of 21, a life turning moment came when Manto met Abdul Bari Alig who changed his life. It was a hallmark for his life when he sought knowledge from his mentor. His teacher was a prolific writer and scholar in Amritsar, Punjab. Abdul Bari Alig found a different man who later, proved him right in the big selection for Urdu literature. By reading French and Russian writers, Saadat Hasan Manto produced his first ever translation of Victor’s Hugo “The Last Day of Condemned Man.” It was an Urdu translation which published in Sarguzasht e Aseer, Lahore. Soon, he realized his fate and joined Masawat – a publishing house in Ludhiana. In 1934, he attended Aligarh Muslim University India which changed his life’s motive. During his days there, he joined Indian Progressive Writers Association which boosted his interest in literature. It was Ali Safdar Jafri who met him there and applauded his writing skills. At the same time, he wrote the short story which published in ‘Inqlaab Pasand’ – an Aligarh magazine. From the 1940s to 1945, these six years completely overwhelmed his career. In early 1940, he accepted the offer of a job of a writer for All India Radio. It was a golden period which came very fruitful for him. Saadat Hasan Manto wrote radio plays which are listed as Aao, Manto Kay Dramay, Teen Aurtein, and Janaze. Soo afterward, he started writing short stories in 1943 following the title in Manto Ke Mazamin and Manto Ke Afsane. At the end of 1945, his short stories collection was published which had the following stories Kaali Shalwar, Dhuan, Bu, Chugad, etc. All these stories have twenty-two (22) volumes of the collection. Since these short stories have been published, Manto faced the charges of obscenity, and in this regard, he relinquished his job. After a very painful life in India, he left his ancestral village and migrated to Pakistan – a newly formed country after the partition of 1947. Hereafter coming to Lahore, Saadat Hasan Manto joined the company of great intellectuals. He lived here and associated with the most famous place in Lahore ‘Pak Tea House” on mall road. Nasir Kazmi, Faiz Ahmad Faiz, Ahmad Nadeem Qasmi, and Ahmad Rahi joined him also on Pak Tea House. All of them had to live with literature and literary works. During the period of 1950 to 1955, Saadat Hasan Manto wrote as many as countless essays, plays, screenplay, novels, and short stories. All his stories pertaining the taboos, lust, ill-manner politics, and corruption exposed the bureaucrats of the Pakistani government. Saadat Hasan Manto faced the charges of obscenity six times. Three-time in India when he wrote Kaali Shalwar, Dhuwan, and Bu and three-time in Pakistan for his short stories Uper Neechay Aur Darmyan, Khol Do, and most famous Thanda Gosht. Fortunately, all the time, he won his case. Manto’s death was an open call to the drinkers. His death was not merely a secret as all of his friends knew that he is addicted to alcohol. He died on 18 January 1955 due to liver cirrhosis. Drinking the alcohol was his hobby along with writings the stories. His death was a huge loss for Urdu literature, doesn’t he? We hope our valued readers will love Saadat Hasan Manto and his works. You may also want to read Ashfaq Ahmed and Mumtaz Mufti.